On the beautiful Isle of Wight Bay, West Ocean City waterfront properties are among the finest in the area. With a clear view across the bay to the city proper, with beaches to the east, and the Wight Island Wildlife Management Area to the north, West Ocean City Waterfront properties offer breathtaking sights! If that's not enough, you're only minutes away from the playground of Ocean City. West Ocean City waterfront properties are also only a quick ride from Ocean City Municipal Airport. The quaint, historic town of Berlin is only a few miles inland and has a rich history going back centuries. Stroll along miles of beautiful beaches and enjoy the many events Ocean City has to offer year round - from Sunfest to Winterfest of Lights. Great pier and offshore fishing, inland hunting, bird watching in the marshes, and wild horse watching on Assateague Island make West Ocean City waterfront an outdoorsman's dream! Great restaurants all over town and in West Ocean City offer an endless variety of fine dining options. West Ocean City waterfront real estate is highly valuable and in demand, with home prices ranging from just under $300,000 to just over $800,000. These West Ocean City Waterfront homes are contemporary in style and are primarily new construction, ranging in size from 2,000 to 4,000 sq. ft. and featuring two to four bedrooms. Amazing contemporary mansions are also available along the West Ocean City Waterfront, starting at around $1.7 million. These are truly impressive homes, with as many as seven bedrooms and almost 7,000 sq. ft. of living space. If you prefer to be further inland but still want water access, slips for personal boats up to 21 ft. are also available for as little as $25,000. If you wish to experience really incredible sunrises each day, contact us today to learn more about the exciting opportunities on the West Ocean City waterfront. Before you buy or sell your next beach property reach out to the area expert. Born and raised in Ocean City, I’ll give you the knowledge, experience and professional care that you deserve. Consistently one of Ocean City’s best Realtors, and top performing agents at the beach, I’m ready to help you with your real estate needs. I cannot thank Grant enough! He loves what he does and he’s great at it. ! Grant was referred to me by a co-worker who had used him. I’d worked with another agent in Ocean City who wasn’t able to sell my condo in a years time. Grant helped us sell it in under 30 days. The proof is in the pudding. He loves what he does and he’s great at it. 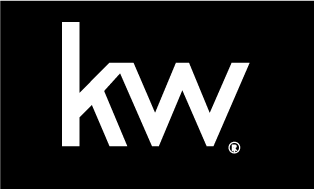 - Kevin M.
We’ve used Grant twice now and we’ll gladly call him when we’re ready to sell again.